Because we love you and we have very close connections with Wolftown's Tricksta and LATE we are making available to you a FREE new mixtape is something brand new from the UK’s hardest working rapper LATE alongside ATL artist ROSCO and Wolftown producer & DJ TRICKSTA. 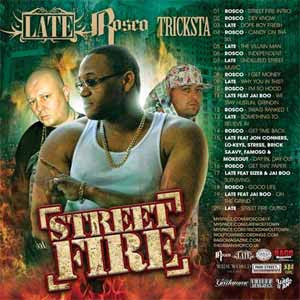 Over an hour long ‘Street Fire’ features unreleased tracks and freestyles making this a mixtape you need in your collection. 09 - LATE - Why In This?